Welcome to the Diamond Peak Cattle Co LLC Ranches! Come hunt the most sought after elk management units in the state of Colorado. 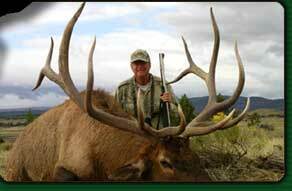 Areas 2 and 201 in northwest Colorado offer much of the premier trophy elk to be found in the western USA. We also offer our services for trophy mule deer hunts in both of these units. We welcome rifle, archery and muzzleloader hunters. Our success rate has been 100% over the past 15 years. NEW trophy elk and mule deer photos from the 2015 hunting season!